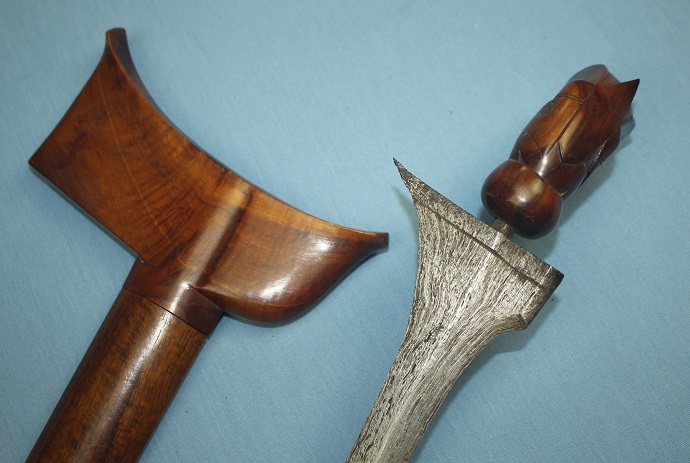 A good Malaysian Keris from the Kedah provenance of Northern Malaysia. 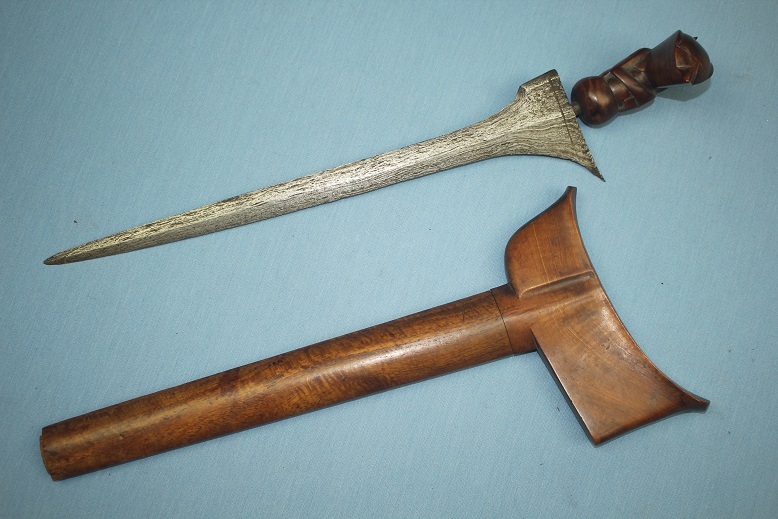 This interesting Malay keris features some very fine grained timbers and a fine Iras blade, likely inspired by Javanese craftsmanship or an heirloom or trade blade, being a perfect and original old union of blade and sarong. 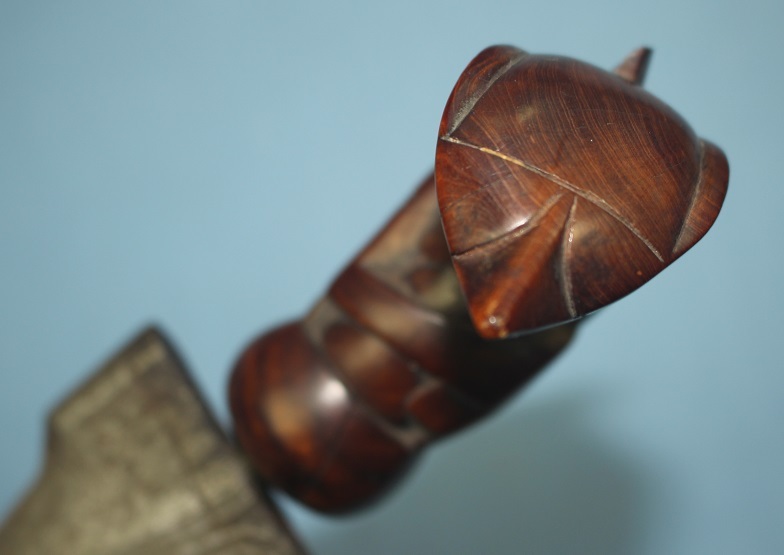 The Jawa Deman hilt is with a minor loss to the dorsal spire and a small, sealable age crack to the base. 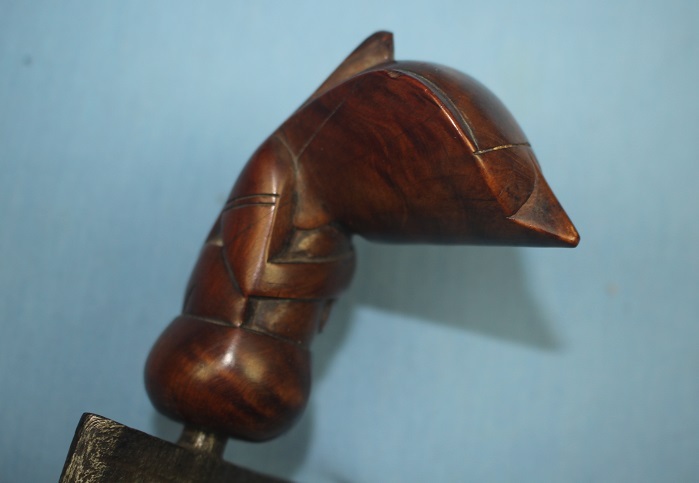 It has been finely carved and very well selected timber has been used as can be seen in the grains throughout. It is without a pendokok and the hulu remains locked firmly in place with no give or movement. 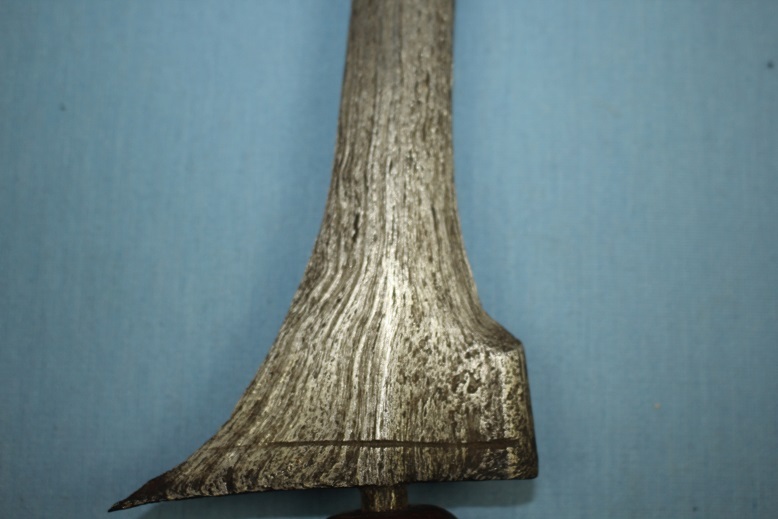 The blade is well crafted with a very simple and well defined pamor. 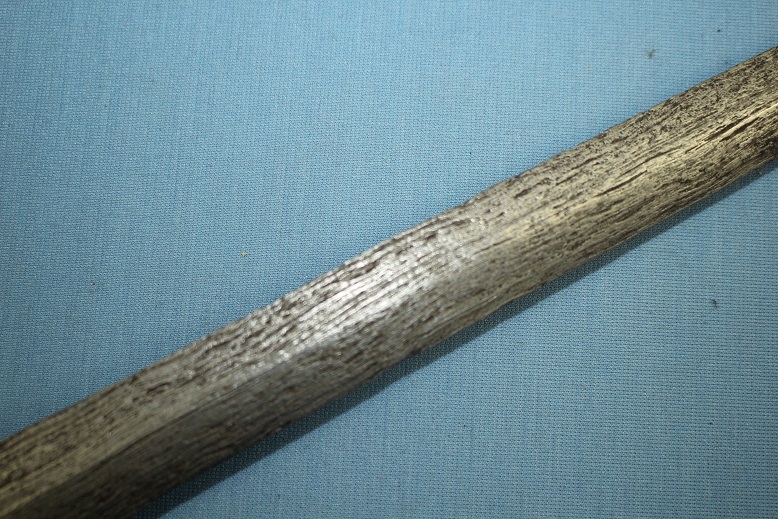 It is a Gonjo Iras, bisu bertebing blade type and remains in fine condition throughout. 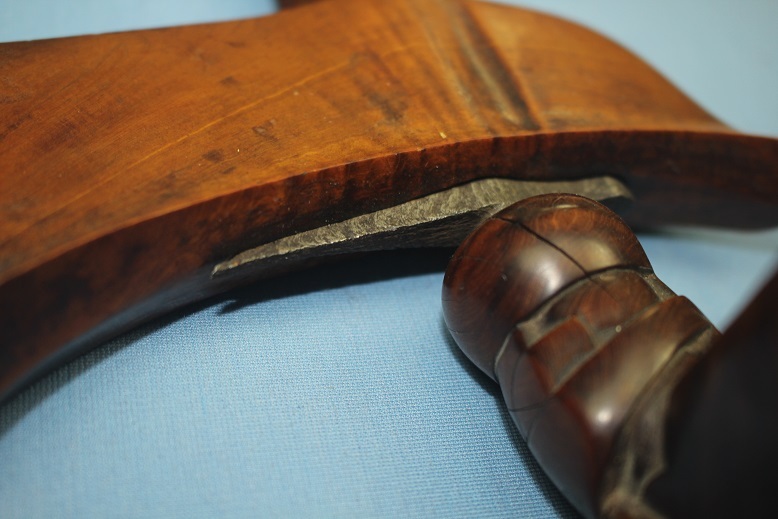 The sheath has been expertly carved from beautiful rich grained timbers and is without fault, although the butnut has been lost to time. 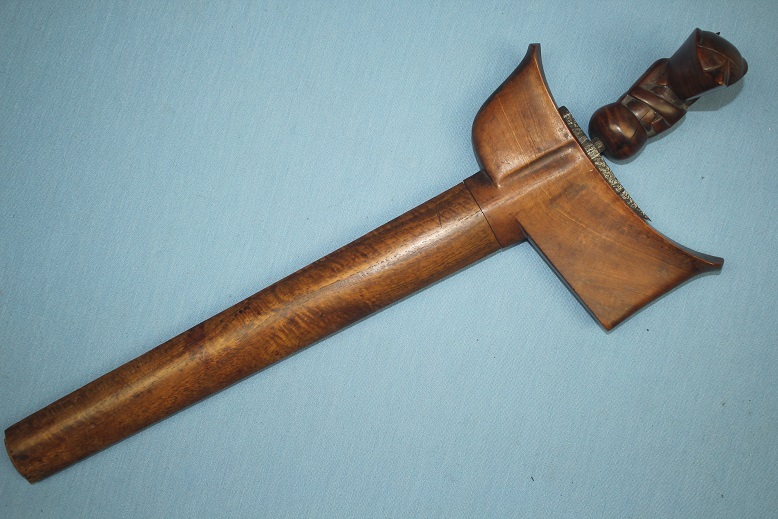 A very good Kedah keris with an interesting history.